My iPhone Says iMessage Is "Waiting For Activation". Here's The Fix! You are at:Home»iPhone»Messages»My iPhone Says iMessage Is “Waiting For Activation”. Here’s The Fix! iMessage isn’t activating on your iPhone and you don’t know why. No matter what you do, your iPhone is stuck on “waiting for activation”. In this article, I’ll explain why iMessage is “waiting for activation” and show you how to fix the problem for good! Why Does iMessage Say “Waiting For Activation”? iMessage can take up to 24 hours to activate, according to Apple. Sometimes, you just have to wait it out. You have to be connected to Cellular Data or Wi-Fi before you can activate iMessage. 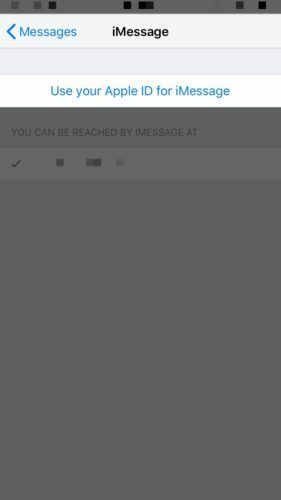 You have to be able to receive SMS text messages to activate iMessage. If any of this seems confusing to you, don’t worry. We’ll break it all down in the step-by-step guide below! iMessage may not be activating because of a Wi-Fi connectivity issue. Open the Settings app and tap Wi-Fi. Make sure the switch next to Wi-Fi is turned on and that there’s a checkmark next to your Wi-Fi network. 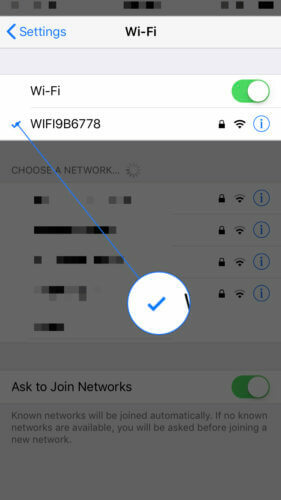 If Wi-Fi is on, but there isn’t a checkmark next to your Wi-Fi network, tap on your network to select it. If Wi-Fi is on and your network is selected, try toggling the switch off and back on again. You can quickly check to see if your iPhone is actually connected to Wi-Fi by opening Safari and trying to load a webpage. If the webpage loads, your iPhone is connected to Wi-Fi. If the webpage doesn’t load, then there may be an issue with your Wi-Fi network, and I recommend reading our article on what to do if your iPhone isn’t connecting to Wi-Fi. If you don’t have access to Wi-Fi, you can also activate iMessage using Cellular Data. Go to Settings -> Cellular Data and turn on the switch next to Cellular Data. 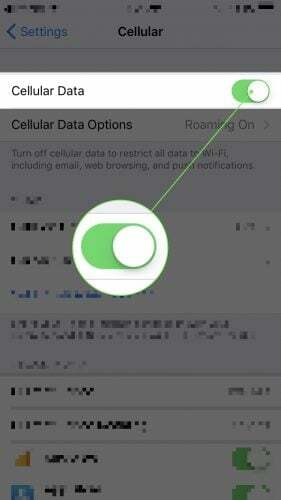 If Cellular Data is already on, try toggling the switch off and back on again. After turning on Cellular Data or Wi-Fi, try toggling Airplane Mode off and back on. This could fix a minor technical glitch inhibiting your iPhone’s ability to connect to your wireless data or Wi-Fi network. 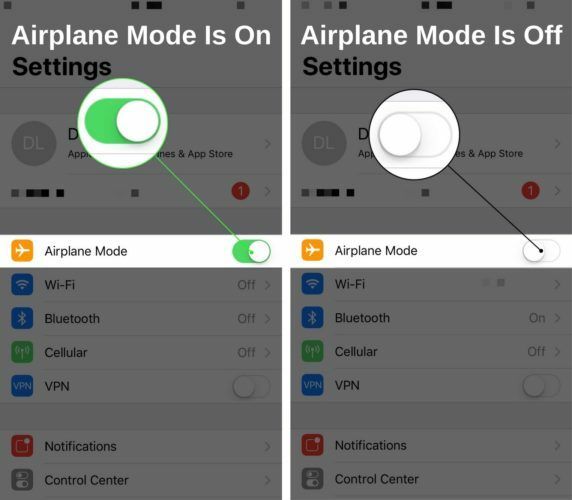 Open the Settings app and tap the switch next to Airplane Mode to turn it on. You’ll know Airplane Mode is on when the switch is green. Wait a couple seconds, then tap the switch again to turn Airplane Mode back off. Another common reason why iMessage says “waiting for activation” is because your iPhone is set to the wrong time zone. 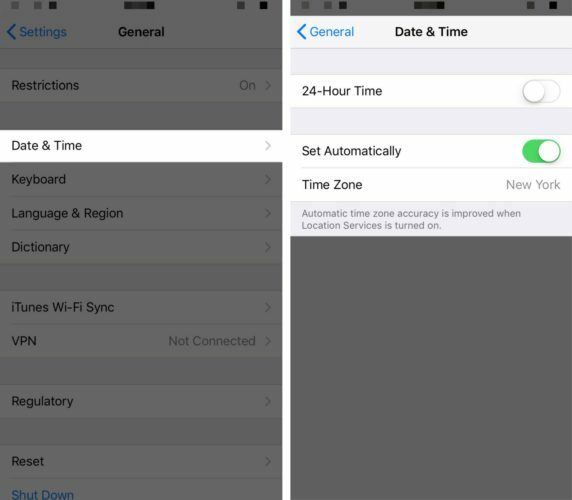 Go to Settings -> General -> Date & Time and make sure your iPhone is set to the correct time zone. I recommend turning on the switch next to Set Automatically so your iPhone can set your time zone based on your current location. If iMessage says “waiting for activation” after you’ve connected to data or Wi-Fi and chosen the correct time zone, try restarting your iPhone. 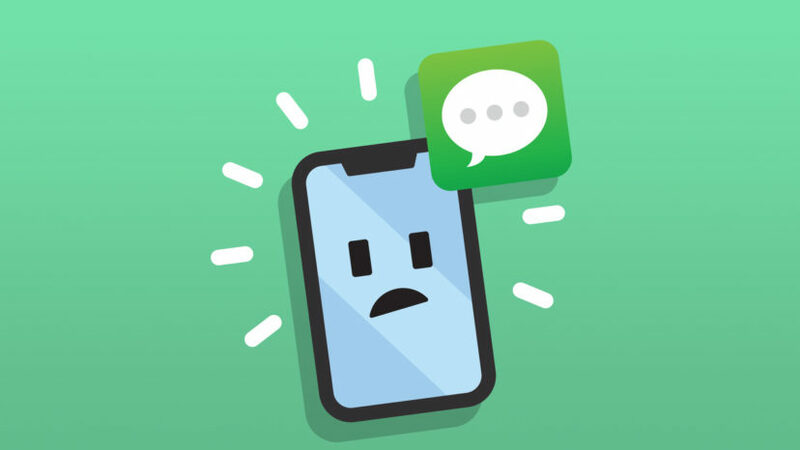 It’s possible that iMessage isn’t activating because your iPhone is experiencing a software crash, which can usually be fixed by turning it off and back on. To turn off your iPhone, press and hold the power button on the right side of your iPhone until slide to power off appears near the top of the display. If you have an iPhone X, press and hold the side button and either one of the volume buttons instead. Then, swipe the power icon from left to right across the words slide to power off — this will turn your iPhone off. Wait a few seconds, then press and hold the power button (iPhone 8 and earlier) or the side button (iPhone X) until the Apple logo appears on the center of the display. Next, turn iMessage off and back on. iMessage might have experienced a glitch when trying to activate — turning iMessage off and back on will give it a fresh start! 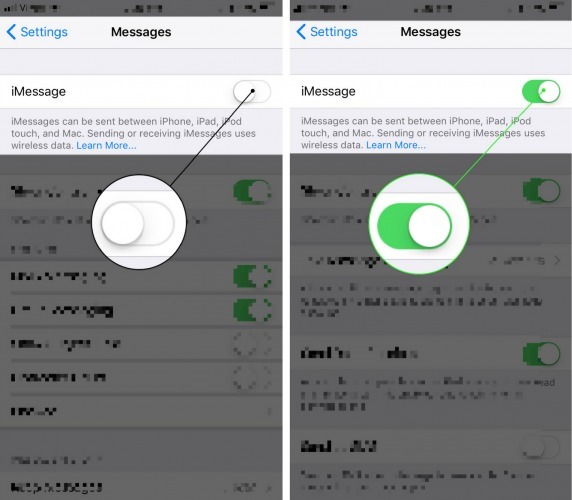 Go to Settings -> Messages and tap the switch next to iMessage at the top of the screen. You’ll know iMessage is off when the switch is white. Wait a few seconds, then tap the switch again to turn iMessage back on. Apple recommends updating to the latest version of iOS when iMessage says “waiting for activation”, so head to Settings -> General -> Software Update and see if an iOS update is available. 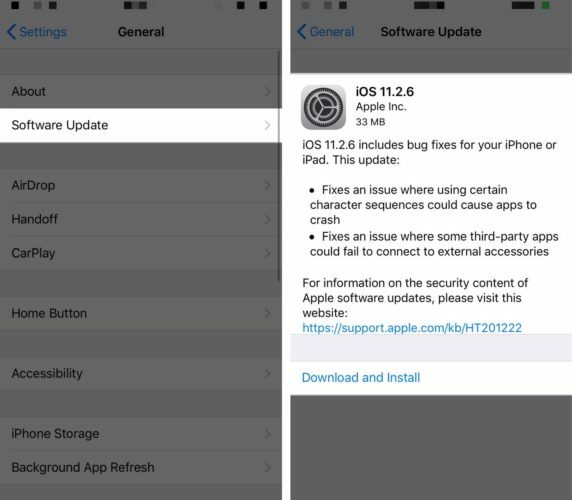 Apple frequently releases new software updates to improve security, introduce new features, and fix existing glitches. If a new software update is available, tap Download and Install. Check out our article if you run into any problems when updating your iPhone! If your iPhone’s software is up to date, but iMessage is still “waiting for activation”, try signing out and back into your Apple ID. Like restarting your iPhone, this will give your Apple ID a fresh start, which could fix a minor software glitch. 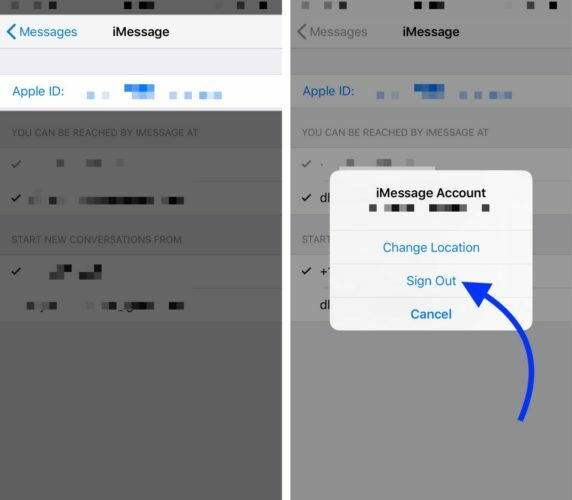 Go to Settings -> Messages -> Send & Receive and tap your Apple ID at the top of the screen. Then, tap Sign Out. After you’ve signed out of your Apple ID, tap Use Your Apple ID for iMessage at the top of the screen. Enter your Apple ID password to log back into your Apple ID. If you’ve made it this far and iMessage still isn’t activating, it’s time to shift focus to potential issues caused by your wireless carrier’s network. As I mentioned at the beginning of this article, your iPhone has to be capable of receiving an SMS text message in order to activate iMessage. If your iPhone can’t receive SMS text messages, your iPhone won’t be able to activate iMessage. What Are SMS Text Messages? SMS text messages are standard text messages which use the text messaging plan you signed up for when you chose your wireless carrier. SMS text messages appear in a green bubble, rather than the blue bubble that iMessages appear in. iMessages are different from SMS texts because you can use wireless data or Wi-Fi to send them. Check out our article to learn more about the differences between SMS texts and iMessages. Can My iPhone Receive SMS Text Messages? Depending on the cell phone plan you signed up for, your iPhone may not be able to receive SMS text messages. Although most cell phone plans include SMS texting, you may run into issues if you have a prepaid cell phone plan. If you’re on a prepaid plan, you may not have enough money or credit in your account to receive the SMS text message required to activate iMessage. If you have a prepaid cell phone plan, log into your account on your wireless carrier’s website and add a dollar or two to make sure you can receive the iMessage activation SMS text. If your iPhone can receive SMS text messages, follow the steps below to fix common problems that could be caused by your iPhone’s connection to your wireless carrier’s network. Apple and your wireless carrier regularly release carrier settings updates that improve your iPhone’s ability to connect to your wireless carrier’s cellular network. 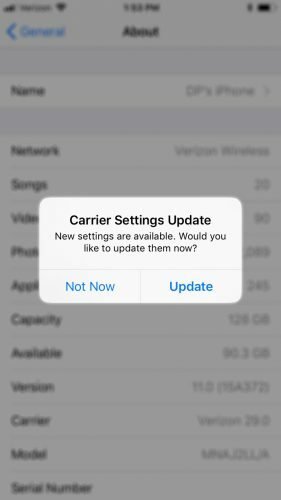 Usually, you’ll know a carrier settings update is available because you’ll receive a pop-up on your iPhone that says “Carrier Settings Update”. Whenever this pop-up appears on your iPhone, tap Update. There’s no downside to updating your iPhone’s carrier settings and you could run into issues if you don’t update them. You can also check to see if a carrier settings update is available by going to Settings -> General -> About and waiting for about 10–15 seconds. If a carrier settings update is available, the pop-up will appear in this menu. 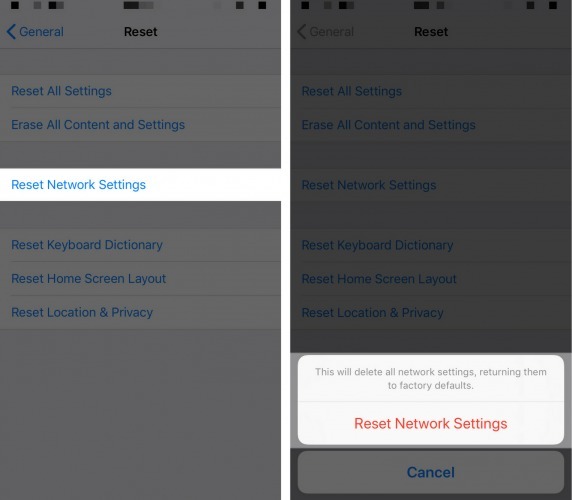 If no carrier settings update is available, reset the network settings on your iPhone. This will reset all of the Cellular, Bluetooth, Wi-Fi, and VPN settings on your iPhone to factory defaults (so make sure you write down Wi-Fi passwords first). Go to Settings -> General -> Reset and tap Reset Network Settings. When the confirmation alert pops up on the screen, tap Reset Network Settings. Your iPhone will shut down, perform the reset, and turn back on. After your iPhone turns back on, reconnect to your Wi-Fi network or turn on Cellular Data and try to activate iMessage again. In very rare cases, the only way to activate iMessage on your iPhone will be to contact Apple Support. An Apple customer service representative will be able to escalate your iMessage activation issue to an Apple engineer, who will be able to fix the problem for you. You’ve successfully activated iMessage on your iPhone! I hope you’ll share this article on social media when your friends and family need help with their iPhone that says iMessage is “waiting for activation”. If you have any other questions, feel free to leave them in the comments section below! Previous ArticleHow To Tether An iPhone: The Guide To Setting Up Personal Hotspot! Next Article My iPhone Power Button Is Stuck! What Should I Do?